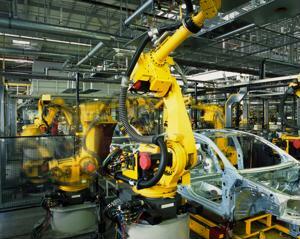 Some analysts assert that the construction of vehicle production facilities in Canada is a volatile endeavor. Doing so necessitates spend management tactics that consider a brand's global salability, production practices and, above all, taxes. The Canadian province of Ontario has been regarded as the North American nation's go-to region for the automotive industry, and Honda is hoping to participate. IndustryWeek's Adrienne Selko noted the Japanese automaker has invested $857 million into improving operations in Alliston, Ontario. Julie Washburn, automotive team lead at the Ministry of Ontario, stated that the company's commitment to solidifying existing operations in the provinces will provide a huge boon to the Canadian economy. "Ontario's auto sector has shown tremendous resilience," said Washburn, as quoted by the source. "We are very encouraged that vehicle production is rebounding, with shipment values and exports from Ontario growing strongly." Although Ontario prides itself as being one of the top automotive manufacturing entities in North America, producing an estimated 2.4 vehicles annually, investment in the province's sector has decreased considerably since the Great Recession. In the 2000s, the industry generated $3 billion in funding. Now, it's accumulating nearly half that amount. Is technology the province's savior? Honda Canada CEO Jerry Chenkin acknowledged the history of the automaker's presence in Ontario, asserting that Honda has invested $3.9 billion in the 28 years it has operated in the province. Its three plants have a combined production capacity of 409,000 vehicles per year, specializing in the Honda Civic and CRV. The $857 million in funding will be used to upgrade the technology used in Honda's facilities, improving vehicle assembly and engine production. IndustryWeek noted the Japanese automaker will partner with universities within Ontario to train its employees on how to use the new assets. It's no secret that the Ontario government doled out a hefty amount of money to bail out U.S. companies Chrysler and General Motors - about $14 billion, according to a report by the Auditor General of Canada. MacLean's Jason Kirby expanded on this finding, maintaining that Ontario's automotive industry is losing business to Mexico and the American deep south. Basically, many automotive manufacturers are deducing that it's cheaper for them to procure equipment from low-cost countries than it is for them to set up operations in the Canadian province. This is an important factor to consider, even with a recent proposal that would create an automotive investment board in Ottawa.